I sit in a room full of grace. People of grace. For they are caregivers, ones whose daily rhythms include tending to the needs of their loved ones who are terminally ill or struggling with dementia. These rhythms are forced into routine, the routine of medications, of bathing, of dressing, of feeding, of exercising, of resting, then starting over again. These daily rhythms become wearing and confining. But in the midst of these routines they have gathered for a caregivers retreat, to find respite for a couple of days from caring for a spouse, a parent, an aunt, a grandparent. 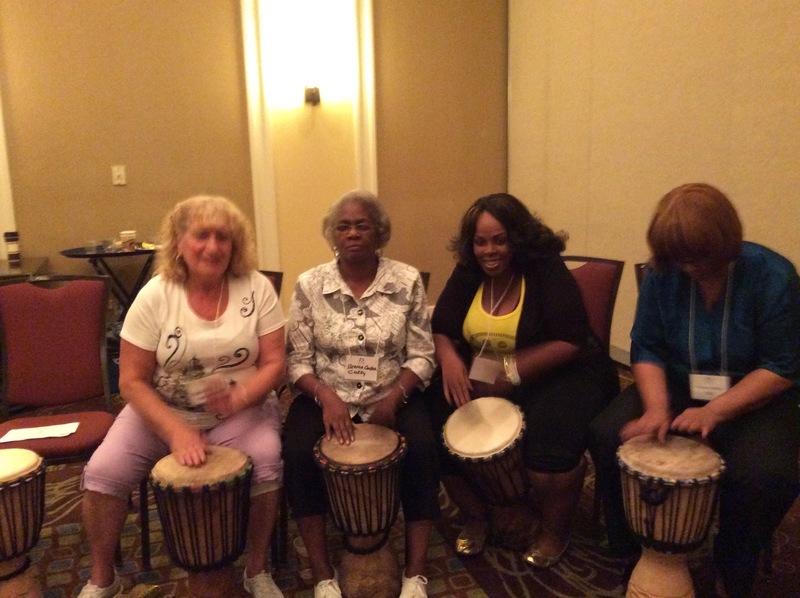 In this room, in this circle, a drum in front of each seat, in a session that promises “Rhythm for Relief”, they have assembled, these caregivers of every age, shape and size, with unknown, but similar stories being the common ground. It is common ground that makes a circle of drums so powerful. For even in remote areas of Africa, in Ghana, where these drums are made, the routines of daily life are communicated through the rhythm of drums. This primal beat, a sound that reflects the first sound we ever hear, the heartbeat of our mother in the womb, is a beat that reflects life before we even have awareness. Because these beats are the core of our being, there are messages sent through the rhythms of the drum that transcend words. Jason, our instructor from “Drum Magic”, has observed it in the bush of Africa. He has observed it as he holds seminars in corporate groups of America. And he has witnessed it in the classroom and in senior centers. Here, in this circle, he begins. He tells us about the drums, each handmade with wood and goat skin by craftsmen in a tribe in Ghana. 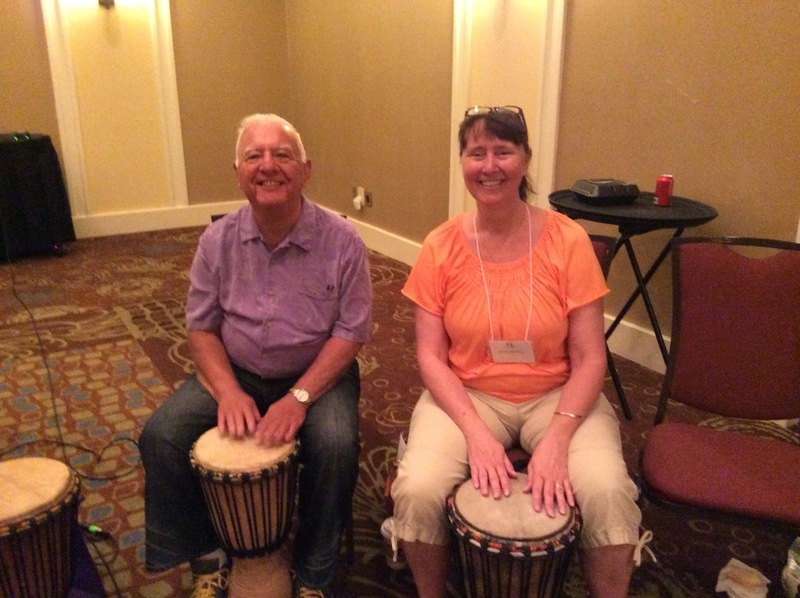 He shares from his own experience that there is nothing like the energy shared by a group united through the beating of the drums. The beat of the drums increase, the rhythms begin to vary. We follow. We turn and smile at each other. He begins to beat faster, changing up the rhythms. We begin to laugh and smile as we try to keep up with him. Some even begin to get up and dance. 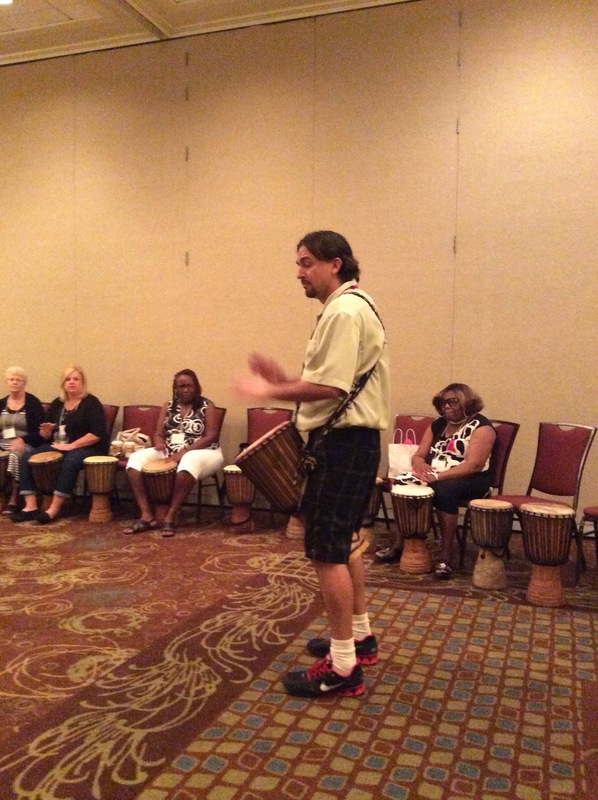 Tell your story on the rhythm of the drum. Make up something that describes your day today. Tell about it on the drum. When your make up a rhythm, you put yourself out there with out worrying about the words that your use. Just play out a thought, you feel free enough to do this on a drum. A caregiver is normally guarded and private. But here in this circle that wall of protection is briefly broken as each caregiver expresses himself on a drum. 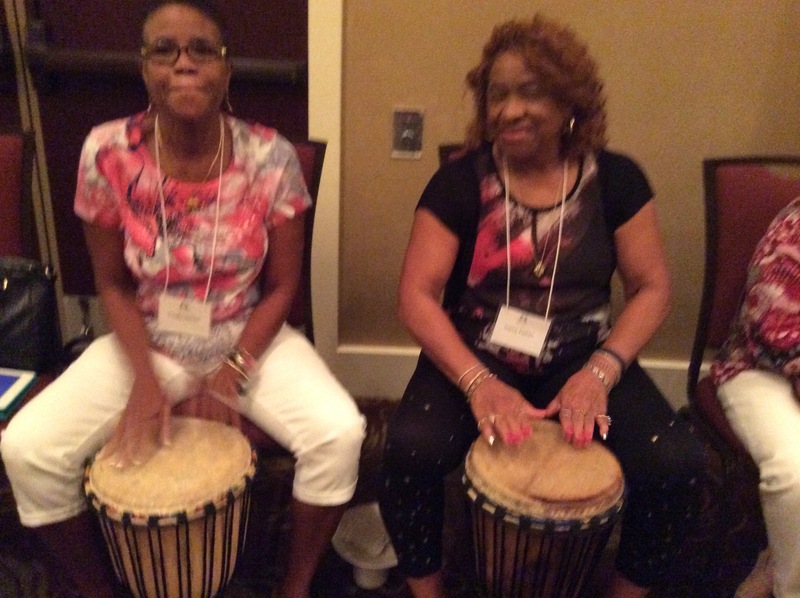 Those who spend months and years caring for the needs of another are momentarily set free expressing themselves through an unspoken story: a drumbeat. 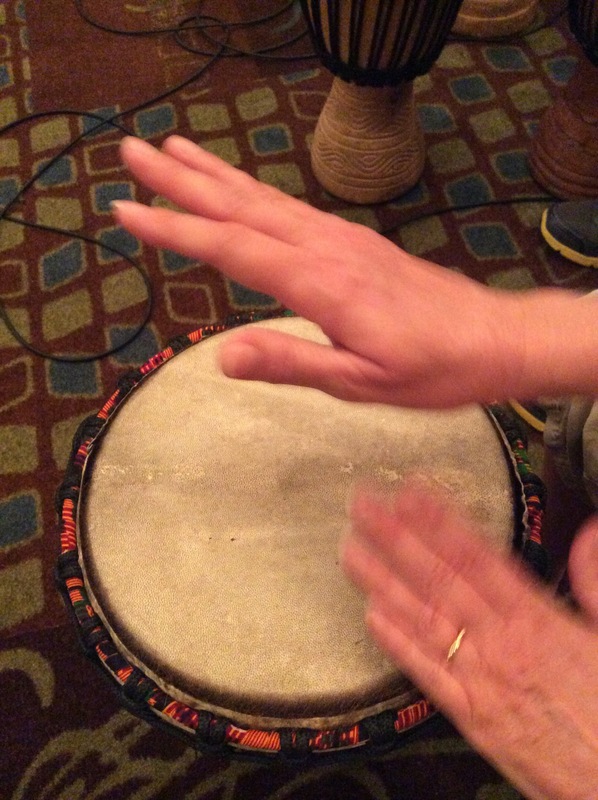 The group beats a steady background rhythm as each one in the circle shares, some by gentle tapping, some by pounding and banging and slapping. It is magical how this happens, for each one is somehow understood. The cry to be understood, to be heard, is an echo of the heart. Every caregiver longs to be heard. To find community. To know they are not alone in their weariness, frustration, or grief. Even momentarily, burdens are lifted. Because somehow, through the message of a drumbeat, we experience the unforced rhythms of grace. 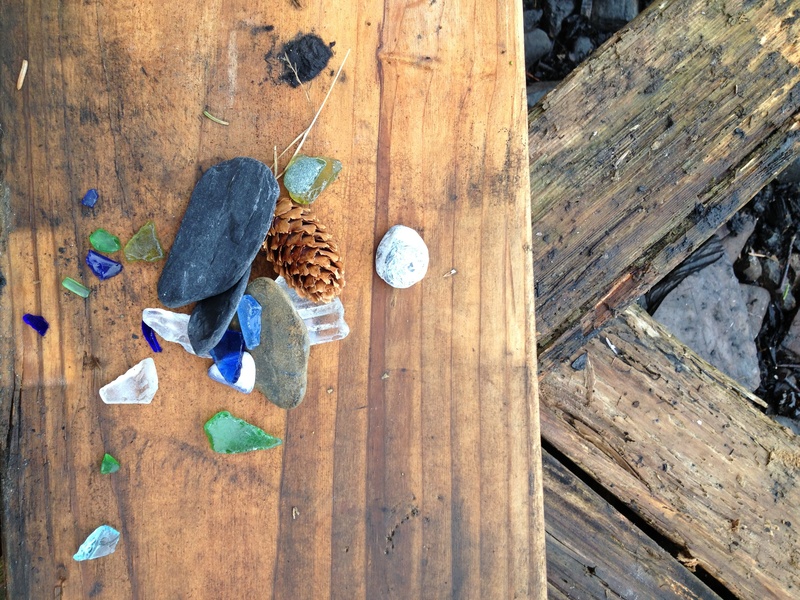 So we return to our homes, our rhythms, our routines of caregiving. And I hope we continue to find those unforced rhythms of grace in our days. In those days we are breathless, may we become aware of the rise and fall of our breath. In those days when tears flow, may we find comfort in the patter of the rain on the roof. In those days when we feel we cannot take another step, may we find strength in the cadence of our footsteps along the beach. And as we listen to the rhythm of the waves beating against the shore, may the rhythm of our own heartbeat bear us up to continue to care for the heart of another.